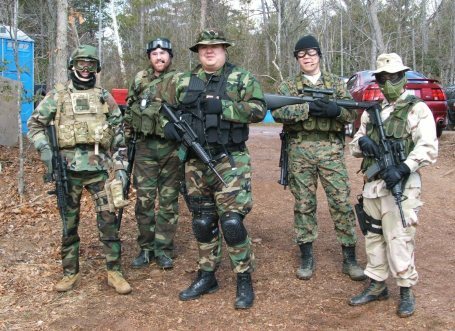 ﻿2018 marked the 12th anniversary for the Fulda Gap Airsoft Scenario Game. In 2018 we had 800 players and a dozen vendors supporting the game. The battle was brutal but Warsaw took home the win, with Andrew "Highway" Huffman, achieving his first win as a General! NATO general Thumpy has sworn revenge for 2019 in a classic rematch. ​and Warsaw General Andrew "Highway" Huffman. 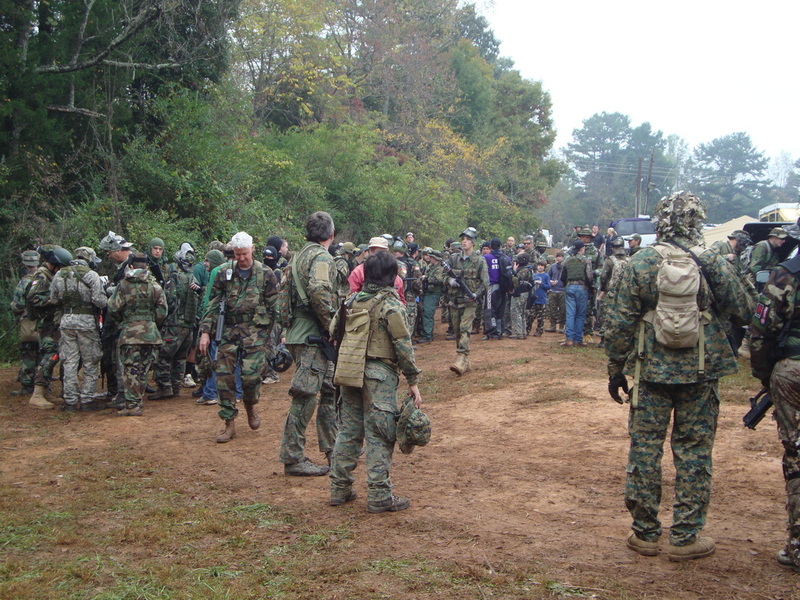 Join us and the expected 1000+ airsoft players in Taylorsville, North Carolina this October for one of the world's largest airsoft events. Each year this game gets bigger and better. More missions, more strategy, more fun! Registration links are now embedded directly into this website under the specific units - Sign up is a bit different than years past - read the directions carefully. Unit caps are once again limited in size so register you and your team early to get the space you want. The new website will automatically close registration when units meet their caps. Generals are seeking energetic and enthusiastic unit leaders. Use the navigation bar on the left to find your general's email and contact information. Registration is through our portal links to pre-register which are found under the NATO or Warsaw unit pages and next to/under each specific unit. This software will automatically close units when they reach their limit caps. Pre-registration saves you money, gets you on the side and unit you prefer, and helps us to plan. Pre-registration will open on June 1, 2019. PLEASE PRE-REGISTER!! It helps your Generals plan for the game better, and makes for a more enjoyable experience. Tiered pricing goes into effect after that but spaces on units will also start to run out. DON'T WAIT UNTIL THE LAST MINUTE! 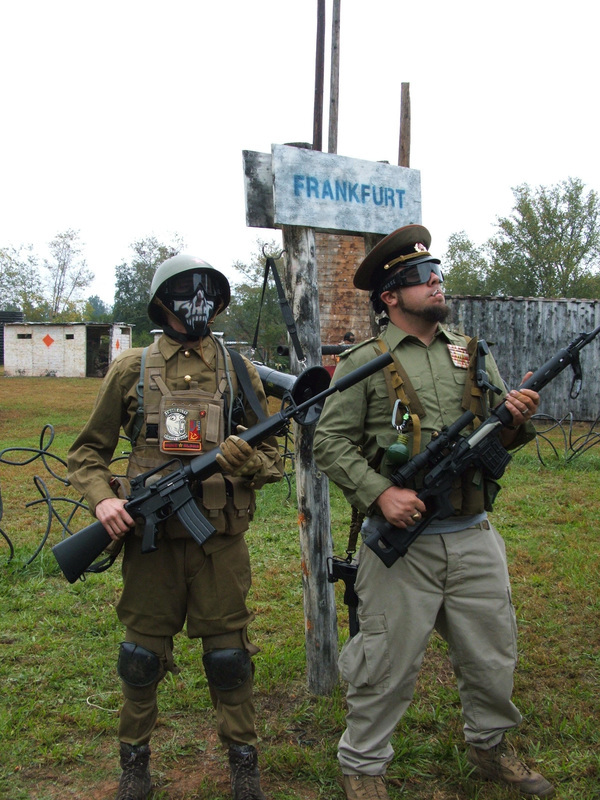 ​If you haven't experienced Fulda Gap in the past - DO NOT MISS 2019's game. We will have updated the online safety quiz for 2019, which will be located on the "RULES" page. All of our previous rules still apply. EACH PLAYER MUST watch the video and complete the quiz. 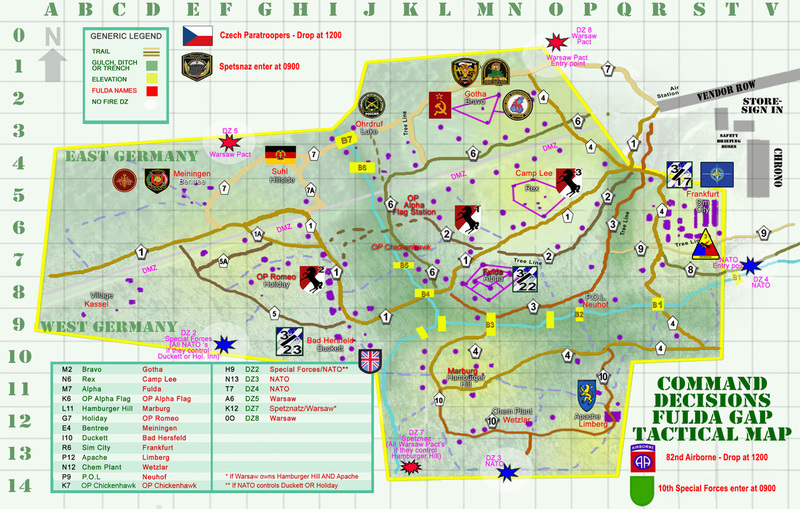 Once you have completed the quiz, please print out the certificate and bring it with you when you check in to Fulda Gap. You must have a passing score (90 percent correct or better) in order to pass! 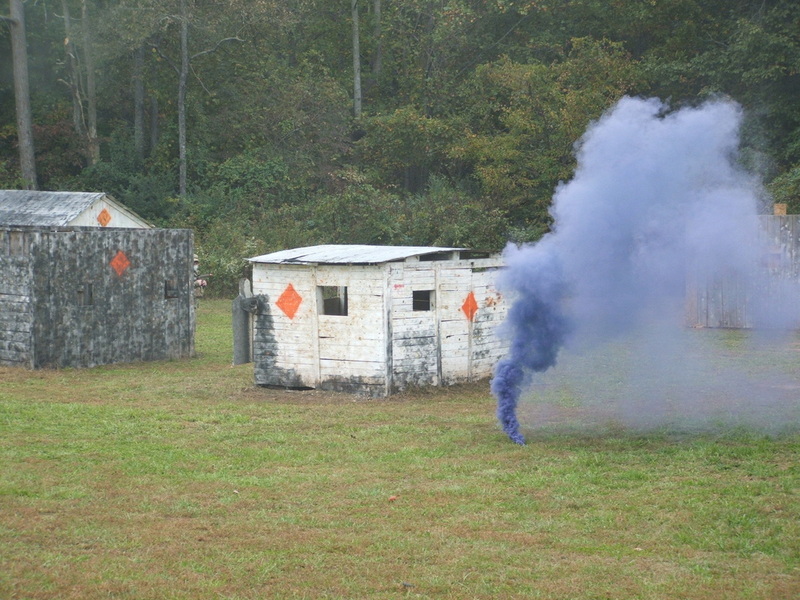 If you cannot provide evidence of having passed the quiz, you will be required to watch the video prior to getting on the field at Fulda Gap. Also, save time by downloading the CDWC liability waiver and completing it (or complete it online during your registration). You will not get your player packets until we have a FULLY COMPLETED waiver for EACH player. 2018 Pricing is TIERED. Get registered EARLY and take advantage of the discounts! Our pricing did not change this year and remember, this is still THE BEST GAME for the money! Moral of the story - get registered early and save yourselves some money! Please note - we accept MasterCard, Visa, Discover and PayPal. We do not accept American Express.